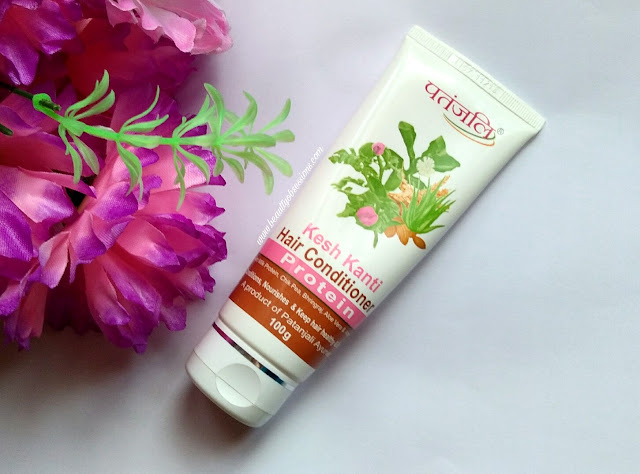 BRAND CLAIMS - Patanjali kesh kanti protein hair conditioner with Milk Protein ,Chik Pea, Bhingraj, Aloevera and Almond Oil conditions, nourishes and keep hair healthy and strong.It is a complete ayurvedic product. PRICE - Rs 60/- for 100gm. 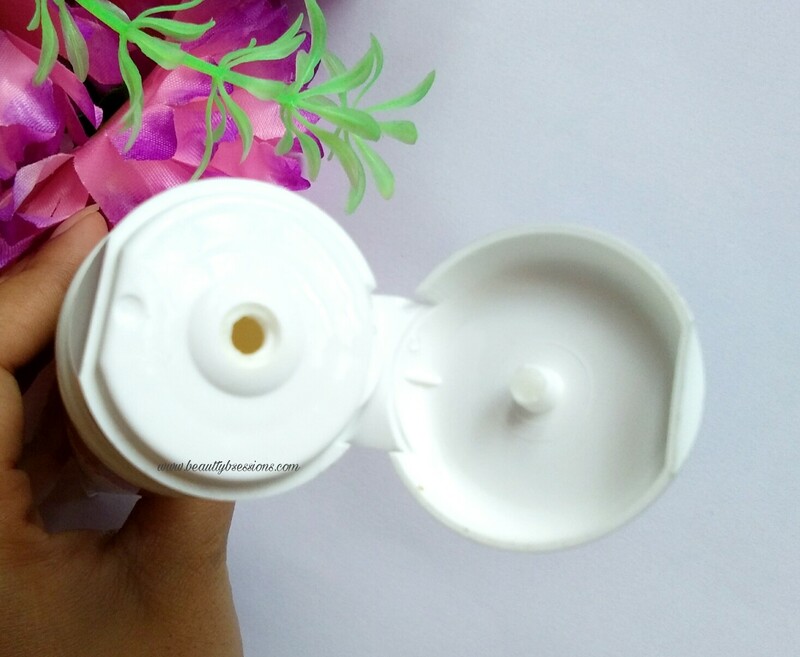 AVAILIABILITY - It is easily available at cosmetic stores and even at patanjali stores. 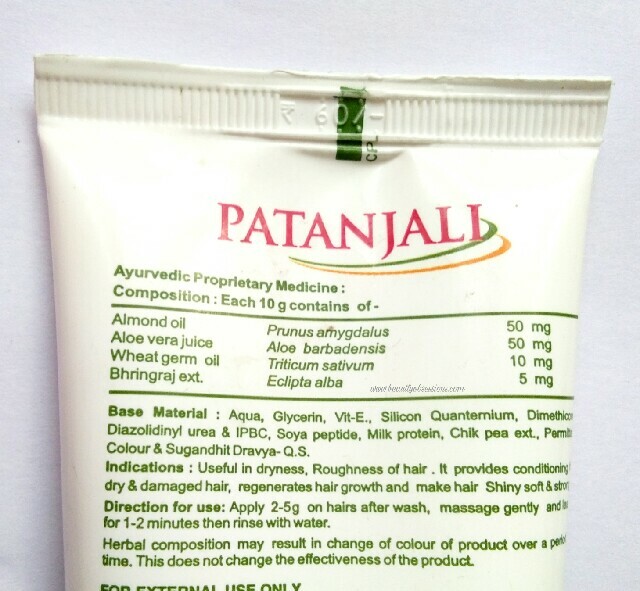 PACKAGING - The patanjali protein hair conditioner comes in a tube packaging with a flip open cap. The packaging is sturdy, and good to carry around. All information are written on the tube.. The brand says that it can be use from root to tip like a hair mask and to massage for 2minutes on the scalp but I only apply on the lower half of my hair... It makes my hair soft and manageable after wash but not much.. I need a serum (Matrix Biolage Deep Soothing Hair Serum) to make my hair tangle free and to give a healthy shine... It doesn't give deep nourishment to my hair as it claims... My hair still feels dry after wash with this protein conditioner... I don't feel that bouncy-ness or smoothness which my dove conditioner used to provide. The protein conditioner is white in colour and whipped cream like texture (not though that much fluffy) . It has thick consistency, hence easy to apply on hair and there is no fall out while applying..It is also easy to rinse off. It has very sweet mild floral fragrance which lasts for a while only. The conditioner is creamy but not so effective on my dry hair .. I think it will more suitable for normal to oily hair types. It has all natural ingredients which is great..
3- Not suitable for normal to dry hair type.. 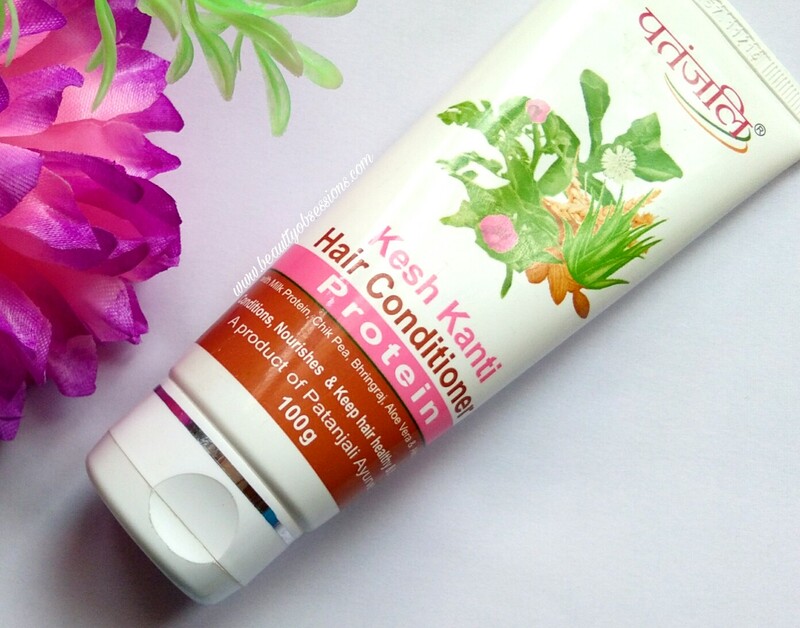 FINAL VERDICT- The Patanjali protein conditioner is like an average product.. It does make soft and manageable my hair but not that much .. It isn't effective on smoothing dry ends .. 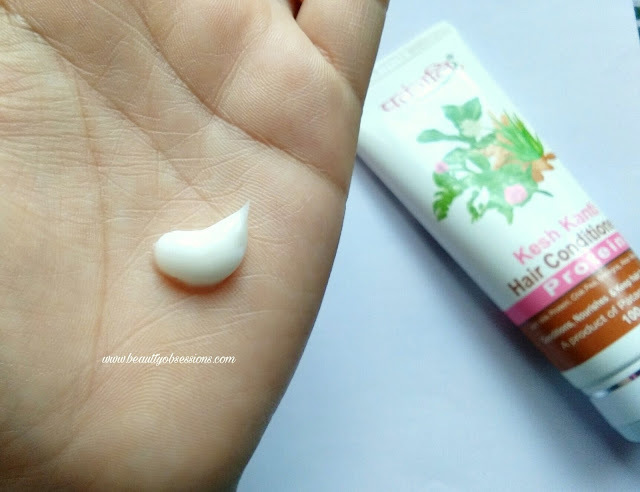 I think it will suit normal to oil hair type more..
Hope you find this review helpful.. Do share your opinion regarding this Patanjali protein conditioner. Honest review. Do nothing according a hair conditioner, I would give it a miss. I've used this and it did nothing. A rubbish product which only limps down my hair. I don't know why these are marketed as natural wherein they contain chemicals and silicone!? The only thing is they are affordable. Thanks for honest review Snigdha . I am trying lot of new panatela products here days and this was on my try list. So, as far as the branding is going, no problem. It's the people who think Natural, Herbal and Organic are the same to be blamed for their ignorance. I neither use nor recommend anyone in my circle to go for Patanjali's products. Being dirt cheap is their only USP. As products, they never perform. When they began, certianly performance was an agenda. Now, it's blatant capturing of market.